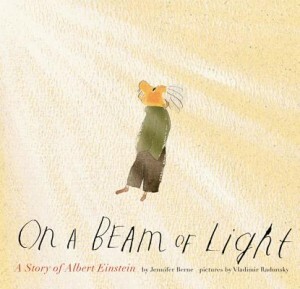 Here’s a treasure – an authentic story about Albert Einstein, written with very young children in mind, accompanied by absolutely magical illustrations. I am so in love with this illustrated children’s book biography. The words and images fly off the page with excitement, as children are encouraged to be curious, and follow their curiosity wherever it may lead. There’s hardly anything else to be said. It has a bibliography in the back that might be helpful for older readers. It is most definitely a read-aloud children’s book for the five and six-year-olds. However, it’s interesting enough for the older children who can read by themselves. Everything about it makes you love the world even that much more, because there is still so much mystery left to uncover. Don’t wait- get this book for any occasion, the hard cover version is well worth it. If you are teaching, or home-schooling, use it in the first or second grade classroom. Enjoy!